Posted February 28th, 2018 by magnifycreativeadmin & filed under . Cole’s Estate Agents aim to “provide the BEST possible estate agency experience using exceptional marketing and an unrivalled level of service”. Whether it’s a studio apartment or a six bedroom country home, they make an enormous effort with their photography and print marketing to make sure that properties stand out from the crowd. 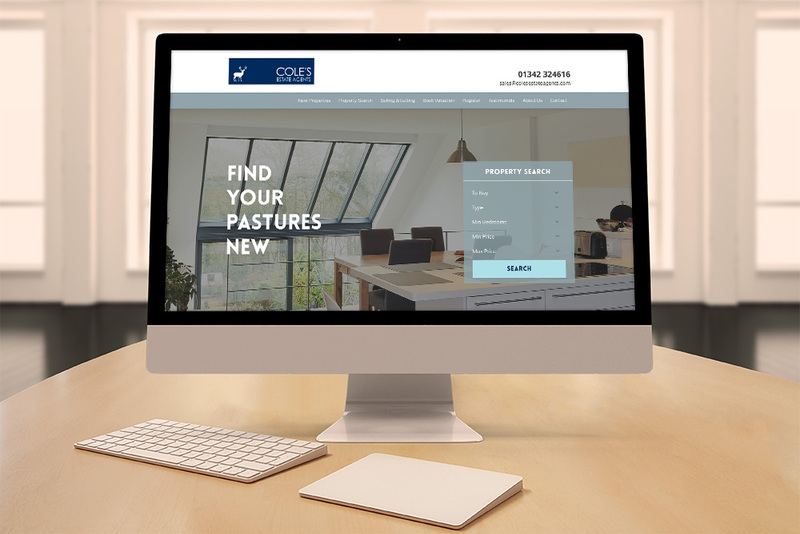 The existing Cole’s website tied in well with their back office property database but was several years out of date and didn’t convey the quality of their service. We suggested that WordPress would be the right platform to build the new site on – but it was essential that this integrated directly with their existing software so that properties didn’t need to be uploaded to several different locations. Another challenging request was for the integration of virtual reality property tours. We worked with Matt at Cole’s to fully realise his vision for the front-end design of the site and navigation. With a background in graphic design, he had some very good ideas and it was a very collaborative process. Once the static website pages had been built, we worked closely with a developer who specialised in the property management software integration. The result allows the Cole’s team to upload a property to their existing software. This is automatically pulled into the WordPress website and uploaded to third party platforms (such as Right Move and Zoopla). Integrating the virtual reality tours was an interesting challenge and the website offers different options depending on which device the user is browsing with. The website uses large images and subtle animations throughout, offering a very visual user experience as well as sophisticated property search features and clear calls-to-action.